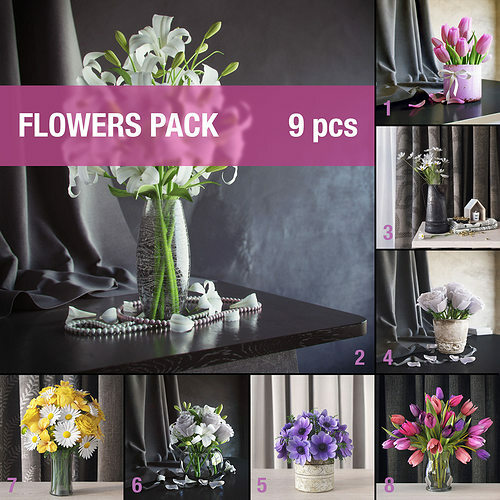 More than 10 different models of flowers and accessories for table. Preview rendering made with V-Ray. Textures included in all archives.